My Mom passed away in May, Marianne’s Mom passed away in October. My Mom’s best friend’s husband passed away this September – and even though he wasn't a blood relative, he was “family” nonetheless. Our cat Sadie passed away this February and we found out this summer, that our dog Jesse has cancer. We’re dealing with Jesse on a day by day basis, trying to keep our 13 year old friend as comfortable as we can. And then we had Hurricane Sandy and the aftermath to deal with. And to top all of that off, I was notified by the company that I work for, that we lost the contract for my department where I work; so I will probably be facing unemployment sometime in December or early next year. But I'm not the only one with troubles, some have less .... some have more. And I know that even with all that we have been through and continue to endure, my family has been and continues to be richly blessed. 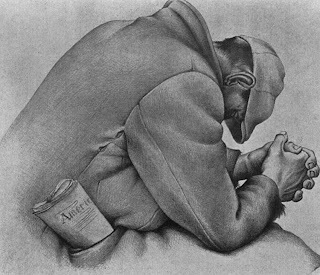 Thanks be to God, I still have a job, if even for a little while. Marianne, Joey and Cara and I all are all in good health. We have a safe, warm house to live in and have plenty of food. Marianne is in no danger of losing her job, so even if I have to collect unemployment insurance for a time while I look for a new job, we won’t starve. We still have my big sister Ann Marie and her family; and we still have Marianne’s brother Tim and his wife, as well as extended family. I have my friends and I have Amateur Radio (the world’s greatest hobby) and I have all of you – whom I consider to be good friends as well. So I am thankful, for all of that and more. God has been so good to us and continues to be – He truly deserves my thanks, this coming Thursday and always. So when we gather around the table tomorrow, I am hoping to be able to say Grace and give thanks in a steady, strong and unwavering voice. It will be an emotional moment for me and may be difficult to do without faltering, but my thanks to God will be completely from the bottom of my heart. Just by chance, I happened to look at the stats for visits here. Yesterday, there was a very sharp spike - a lot of visitors - over twice the norm. I really like Thanksgiving – it is my favorite holiday. I know that I have many readers that are not from the US, who might have heard of Thanksgiving; but might not be familiar with the history behind the holiday. 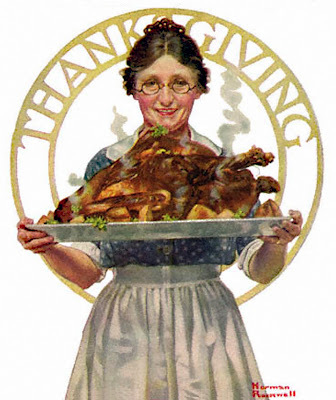 Here’s a short and by no means authoritative version, of the US version of Thanksgiving. Our Canadian friends also celebrate Thanksgiving (on the second Monday of October); but the historical basis behind their celebration is different than ours. In the year 1620 a small ship named the Mayflower, left Plymouth, England and headed for “The New World”. The passengers were mainly a group of people known as Pilgrims, who had left England to come to a new land where they could practice their religion publicly without oppression or harassment. The rest of the passengers were people who wanted to come and settle a new land and make a life for themselves. The Mayflower landed at what is now known as Plymouth, Massachusetts in November of 1620. Shortly after landing, the settlers came in contact with an Indian (read – Native American for the PC crowd) who was a member of the Abenaki tribe. A few days later this Native American returned with a friend named Squanto, who was a member of the Pawtuxet tribe. Earlier in his life, Squanto had been kidnapped by an English sea captain who had sold him into slavery. Squanto escaped and managed to get to London for a time, where he was able to successfully find a way to get back to America (and learn the English language in the process). Squanto introduced the Pilgrims to the nearby Wampanoag tribe. With Squanto’s help, an alliance was formed between the Wampanoag and the settlers which lasted for a period of over 50 years. If this alliance hadn’t been formed, the settlers probably would have totally perished that first harsh Winter. Even though the Wampanoag chief, Massasoit had donated food and provisions to the settlers to see them through that first brutal and snowy cold Winter, almost half of the passengers of the Mayflower perished from scurvy, malnutrition and other disease. The following Spring, Squanto and the Indians taught the surviving Pilgrims where to fish, how to catch eels, how to plant corn, barley and other crops, which indigenous plants were poisonous and which were not, among other things. The planting and growing season of 1621 proved to be exceptionally good, ending with a bountiful harvest that would, without a doubt, be more than enough to sustain the Pilgrims through the next Winter. The leader of the settlement, Plymouth Plantation, declared that a feast be held that November. It lasted three days and the Native Americans were invited to celebrate the bountiful harvest; and 90 came. 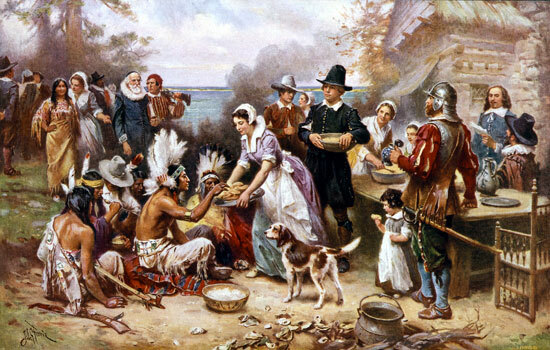 The Pilgrims had just completed a “Fowling mission” and the Wampanoag brought five freshly killed deer – so the menu from the First Thanksgiving feast (according to written records) consisted of venison, turkey, goose, duck, various fish (cod and bass among them), eels, clams (quahogs), and fruits and vegetables. As the Pilgrims stores of sugar were used up, there was probably not much in the way of pies or cakes! Days of Thanksgiving have been proclaimed on and off throughout our history, beginning during the Revolutionary War. But Thanksgiving, as we come to know it, came into its own when a national Thanksgiving Day on the last Thursday of November was proclaimed by Abraham Lincoln in 1863. And since that time, it has been celebrated annually. On a radio note - last weekend, I tried hauling up the W3EDP without much success. Trying to bring down the short end of the frayed and snapped Zepp was futile as it is unmercifully snagged in my neighbors trees and bushes. So a new plan evolved, which I will try to implement this coming weekend. Instead of using the mast on that side of the yard, I will run the W3EDP from the house to the maple, horizontally (actually sloping slightly upwards). Then from the maple, I will allow it to slope down towards the privacy fence post in that far corner of the yard and will tie it off with however much antenna rope I will need - probably no more that 5 -6 feet worth. I am hoping that the old saying will hold true - "Where there is a will, there's a way!" Diz, W8DIZ of Kits and Parts dot Com, has come out with a new transceiver kit - The Flying Pigs "PigRig". "This transceiver was designed for Radio Clubs and/or Special Events. You turn the radio on...you listen...you do not tune...you do not switch anything...you do not search. If you hear someone on "your special frequency", there is a good chance it could be a member of your group. Here is what it is and is not. It is a club radio. The size of the PCB is only 2.5" (63,5 mm) by 3.8" (96,5 mm), and Yes...it does produce a full 4.99 watts RF out and it is as sensitive as just about anything else that you may have in your radio shack. 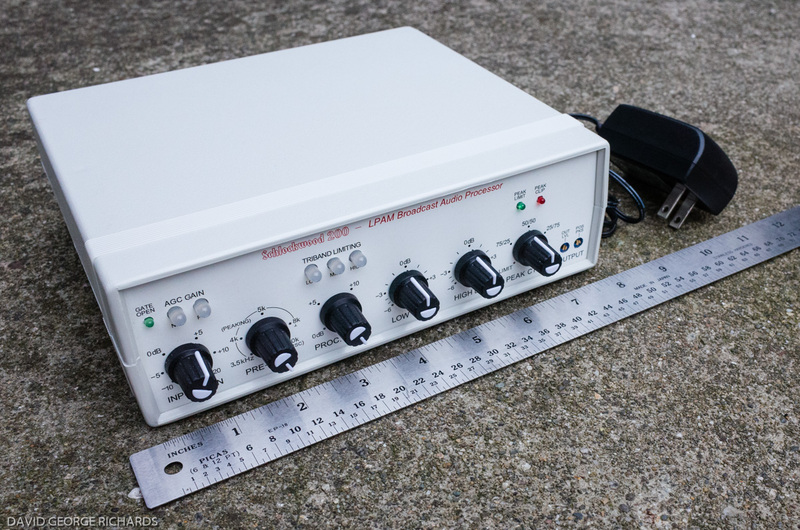 Custom club/group frequencies are available for 40 meters. The name of this radio shall henceforth be labeled as the "Flying Pig Rig". For details - schematic and building guide as well as information on how to order, click here. But Blogger is doing a decent job detecting it and keeping it away from your eyes. Roughly 50 spam comments are left each day, peddling knock off designer handbags, knock off Ugg boots, knock off Viagra and Cialis among other things. Many are in languages that I am not even certain as to where they originated! I see some Cyrillic, so some have to be coming from Russia, but there are other languages that I don't even recognize - although I have seen a few in Polish, too. 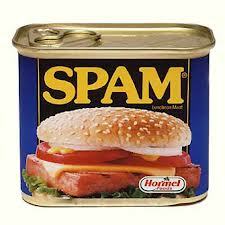 Spam, it's not just tasty meat in a can anymore! This blog has been spam free since 2005 and will stay that way, if I have anything to say about it! 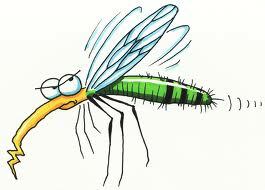 A lot has taken place since I first began thinking W3EDP back in October - family events, weather events, work events. In fact, so much has happened throughout this past year, that I am really looking forward to New Year's Eve and waving 2012 a hearty "Sayonara". This is one year that I will not miss. After mulching the leaves yesterday and then raking and bagging the remainder that the mower couldn't reach, I took the time to grab a spool of 14 gauge wire that I had sitting in the basement. I had intended to measure out 67 feet and cut it for the construction of said W3EDP. Guess what - there was EXACTLY 67 feet of wire left on the spool! Exactly what I need to solder onto the end of the window line - no need to cut. How's that for coincidence? The extended forecast for this coming weekend is a nice Saturday and a crummy Sunday. I hope to spend a portion of Saturday getting this wire airborne. The added bonus (if you will) is that since most of the leaves are down, it should be a tad easier to see exactly what I need to do. The HF9V and the 88' EDZ are both working well; but I figure it never Hertz (sorry, I couldn't resist!) to get more wire up in the air. It seems whenever I want to get something like this done, something always comes up to deter me from completing the project. I am hoping that I will luck out this weekend, and finally finish! A most sincere and humble "Thank You so much!" 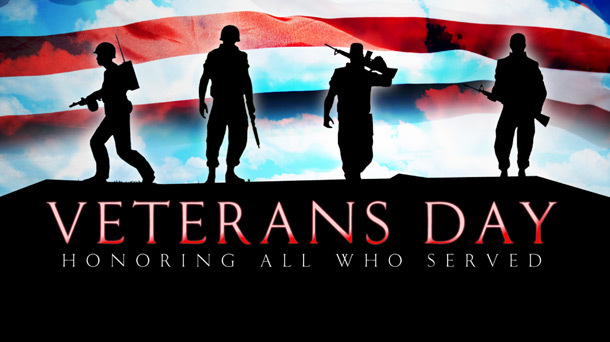 to all those who have and continue to serve our Nation in the Armed Forces. We will never be able to adequately repay your service. "Zombies, World Wide DX Contests, Sweepstakes, etc. made it impossible to schedule a nice, enjoyable Zombie Shuffle around Halloween, particularly on the traditional Friday evening. We were ready to schedule it for this Friday, Nov. 7. 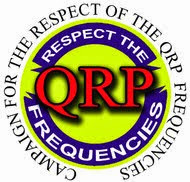 Then came Hurricane Sandy that has left some of our QRP friends without antennas, and some still without electricity. I have been unable to email two of our arranged Elvis stations, presumably due to no electricity or internet yet. I don't know how many are still recovering from Sandy. That's right, the very last day of the Mayan calendar, which conveniently falls on a Friday. As most of you know, this could very well be the end of the world. At least that's what they say. Zap - lights out for the human race. What a better way for a QRP Zombie to go than with his/her earphones and boots on? When the great galactic cataclysm or Planet X hits, I want to be on the air. Vaporized with all my QRP Zombie friends. I know you feel the same. No major contests that night; hopefully a few hours on the air the Friday before Christmas won't interfere with your family or holiday plans. It might even keep you out of WalMart or Target for the night. That probably just saved you $150! I'll update the rules, summary sheet and website this weekend and get them posted. If you have any unique ideas for the Zombie Shuffle on how to spend your last few minutes on planet Earth, let me know. In the meantime, if you don't have a Zombie number, you can request one by an email to Jan, the Witchess and Grand Zombie at n0qt@arrl.net. Don't wait - this could be your last chance. Nobody wants to go out without a number! PS - In the slim chance we survive December 21, we'll have a regular old Zombie Shuffle again next year, likely the Friday after ARRL Sweepstakes." 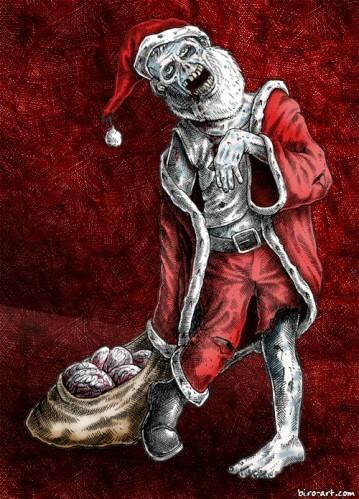 So there you go - I know Christmas and Zombies aren't what you'd call a "good fit" - but Paul humorously tied the event into the end of the Mayan calendar - or have some have called it - "The Coming Zombie Apocolypse"! In any event, it's always a fun sprint. Not a good start for W2LJ in the inaugural week of the 2012/2013 Winter QRP Fox hunt season. I only worked one of the four foxes - Jim K4AXF who was one of the 80 Meter Foxes tonight. I was able to hear Ron KI0II in Colorado rather well for 80 Meters, but could not make myself heard to him. The 40 Meter hunt on Tuesday night was a complete bust. I never heard AA4XX at all, all night long. I did hear Kevin W9CF in Arizona very weakly; but then W1AW code practice came on and that, as they say, was the end of that. It's supposed to go up into the 50s to near 60 this weekend. Maybe I will be able to build and hoist that W3EDP antenna, now that the hurricane and snowstorms have passed. Maybe I can make the weekend "a twofer" as we say in the Fox hunt world - antenna in the air and leaves off the ground! All in a week. A pretty powerful Nor'Easter is visiting the same areas that Sandy just visited last week. This time the temperatures are low enough that we are experiencing a heavy, wet snowfall. By the time morning comes, the meteorologists have said we can expect anywhere from 3 to 6 inches of snow, depending upon location. It started snowing pretty hard around here at around 4:00 PM and is still coming down. Fortunately, our power is still on, but I am occasionally seeing those now familiar flashes in the sky, indicative of power transformers experiencing a non-passive failure (i.e blowing up). I sure hope the power stays on; but I am seeing via Facebook that parts of South Plainfield have returned to darkness. I spoke with W2SH, Charles on 80 Meters this evening, He is a fellow Foxhunter and QRPer who lives roughly 20 -25 miles from me. Charles lives in a very rural area in Morris County and his property is pretty far from his street. He experienced a few utility poles in his area collapsing, so he is still without power as not only the lines; but the poles need replacing too. I gave him my telephone number and asked him to call me if he needs anything. He told me that he and his wife are in good spirits, they still have gas, so they can cook and still have hot water and have a fireplace to keep the house from getting bitter cold. Please keep in your prayers all the victims of Sandy who are experiencing another knock down punch this week. 1) You can't have enough ice. If you don't have / want / or use an emergency generator, you can't have enough ice. I bought four huge bags last Sunday, the day before the storm hit. I could have used twice that - and I should have been making my own, filling plastic containers with water and sticking them in the freezer. As it was, after the third day, I had begun to run out of ice and all the perishable items in the refrigerator had to be tossed. 2) Generators. Lots of folks purchased generators after their experience with Hurricane Irene last year. That was fine until the gas ran out, then they were in the same boat as me. Most of the gas stations around here had plenty of fuel, but also lacked the electricity they required to pump it. I have ordered an 1100 Watt AC inverter that was mentioned in SolderSmoke and I am going to purchase a couple deep cycle marine batteries and a charger. Once I start using them after a power outage they may not last for long, but at least I will be able to power up the freezer and refrigerator for a while. Related to this - if you know that a big storm or blizzard is headed your way - gas up those vehicles! All of them! You don't know how long gasoline might be in short supply afterwards. Go and Google "long New Jersey gas lines after Sandy" if you want a dose of stark reality. 3) Candles. You can never have too many. I thought I had an adequate supply; and I did. Our power was out for close to five days. If it had been out much longer, I would have started to reach the "uncomfortable zone" of running out. Oh, and if you're like me, make sure your emergency candles are the unscented variety. It might have lifted someone else's spirits; but I didn't need the house smelling like a flower shop. 4) Flashlights. Forget the big honker ones that use "D" batteries. I bought some "D" batteries and flashlights, and they are a waste as far as "bang for the buck" goes. I have purchased two LED camping style lanterns that use four "D" batteries each and they will last a lot longer while providing tons more light than normal flashlights. For regular flashlight usage, get the small handheld LED flashlights. I had two of them and am going to get more. Each of these babies used three "AAA" batteries which are still plentiful in the stores (I mean really, most people use "AAA's" for their remotes, right?). They were used throughout this crisis and they were as bright on the final day as the first. Also, those headband LED lights? Some may consider them "dorky", but I am going to purchase a few. They will be invaluable for the times you have to do something in the dark that requires both hands. (I.E. - shaving on the morning darkness with one hand holding the safety razor and the other holding the flashlight was less than ideal. Trying to move ice around from cooler to freezer with one hand - less than ideal). 5) Firewood / Fire logs. I had a small supply left over from the last heating season. I should have laid in a bigger supply. I didn't run out; but was running uncomfortably low, and it was starting to get chilly here. I would wake up in the morning, and go look at the thermostat to see that the house temperature had fallen to 56F (13C) overnight. 6) Charge up everything! All my handhelds, HF radio batteries, cell phones were charged to the max ahead of time, I also broke out my solar panel and had it ready to charge up 12V gel cells if needed as this wore on. Food and water were no problem We had the stove top available for cooking. The electronic ignitors didn't work; but kitchen matches did the job (I have multiple boxes of those). We had an AM / FM radio for news/entertainment. That was a necessity - however, I want to purchase one of those offered with the built in hand crank generator. This will cut down on the amount of batteries needed and many of these models also have USB ports so that you can use the hand crank generator to charge up your cell phone, kindle, Nook, Kobo, etc. What did bother me when we would listen to the radio; and the announcers would say, "To report (such and such) please go to this Website ........" How the heck am I supposed to go to the Internet when there's no electricity? Also, going through my e-mails after the fact yesterday, I saw there were calls for ARES radio volunteers at the Middlesex County hospitals. The requests came via e-mails. How was I supposed to have seen those? I am one of the last persons in the world NOT to have a smartphone and my "18th century" cellphone handles e-mail, well, ...... let's just say "crappily". Maybe that's just a personal problem and I need to get "with it". Not going to sweat that one for now. 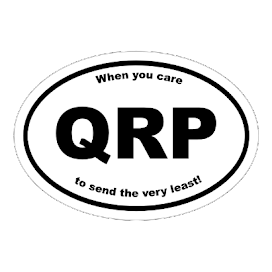 But I was also able to keep in touch with a lot of my QRP friends, including Jim W1PID who would check in with me every night. Just those brief, continual QSOs did a lot to improve my psyche and moral, knowing that there were folks out there that I personally knew that I could stay in touch with. This is by no means an exhaustive treatise on being prepared for an emergency - it was one of some personal observations. But do yourself a favor. If you're given enough notice that a big storm / blizzard / whatever, is coming your way - get ready and try not to wait until the very last moment to do so! You've undoubtedly seen photos of the destruction that Sandy wreaked in Manhattan, Staten Island and the Jersey shore. This storm was nothing like anything I have experienced before. I have been through quite a number of hurricanes in my 55 years, and flooding was ALWAYS the major issue. Except for Manhattan, Staten Island and the Jersey shore, flooding was NOT the big issue - the wind was. We waited for the rains to come - and they did. Maybe 3 to 4 inches of rain? Not a lot by hurricane standards. The winds however, were unearthly. You know how you hear tornado survivors say the winds sounded like a freight train going by? That was what this was like. Laying in bed Monday night, trying to fall asleep and listening to the wind shriek and howl quite unlike anything I have heard before, was so unsettling. Waking up Tuesday morning, the rain was falling gently and the winds were very calm - nothing like the night before. As I woke up to get dressed and get ready for work (yes, I was expected in), the world was dark and quiet. I decided at the last minute to bring my camera with me. My wife Marianne also took a camera with her later that afternoon when she took our dog Jesse, for his walk. Here's just a small sample of the sights we saw in South Plainfield, NJ. Our town looked like something from a war zone or a movie set. We took a lot more photos - and please note, this all happened within walking distance of our home. This is the tree that took out our electricity for five days. That's Jesse, our dog in the lower left corner. Down the street from us. Siding ripped from a house. Around the block from us. The fence surrounding the community pool was destroyed. This is the branch that fell off our maple tree in the back yard. The EDZ wire was higher than this limb. A neighbor, just down the street from us. An evergreen down on the side of our Church, Sacred Heart. Just around the corner from us. This tree didn't take down any wires but is being gently suspended by them. I learned a lot from this experience. Over the next post or two, I will share some observations about being prepared and some other things. The power came back on at 12:15 PM today - fifteen minutes after Noon. I have to go pick up Joey and Cara from my sister's house. She graciously let them stay with her while our house has been like an icebox. I will do an extended posting tonight with a Hurricane Sandy recap and some photos from my immediate neighborhood. Thanks to all of you for your prayers and best wishes; and special thanks to Jim W1PID who "checked up on me" each night on 80 Meters. 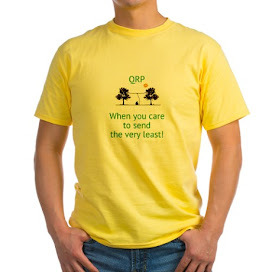 Ham Radio ops ARE THE BEST!